What Games Can I Play On A Laptop Under $800? 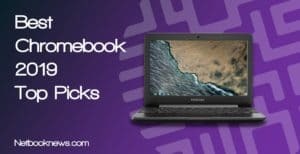 Why Should I Pick These Laptops? What Am I Looking For In This Price Range? What Else Should I Keep In Mind? A gaming laptop that can run the latest AAA games is a big investment, so you need to make sure you find the perfect machine that meets all your needs without going over your budget. Looking to play new online survival games or run the latest competitive MOBAs? We’ve got you covered with a list of all the best gaming laptops under 800 available online. With a price tag of under $800 you can start to get into the higher end of laptop specs while only having to make a few concessions due to budgeting. More onboard system memory, additional hard drive space, and faster processors all become standard at this price range. Older games will all run well at high settings, while the newest offerings will typically get no frame rate drops near the medium range. There can be wide a disparity between graphics cards and features like keyboard backlighting and overall weight however, so you can’t expect to just pick the laptop with the best price and still get the best overall product experience. 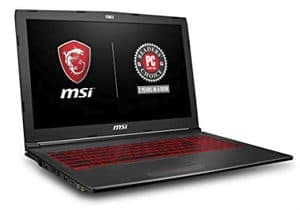 In 2018, MSI’s GV62 sits at the top of the pack for mid-range laptops that offer great gaming specs without costing an arm and a leg. You’ll get the best graphics with the most stable frame rates and without having to give up any extra hard drive space. While you take a hit on battery life with these higher specs and epic back lighting, this is the absolute most bang-for-your-buck you can get in a sub-$800 laptop. If you need power over other considerations, pick this rig! If you want to stay out of the four digit price range but still need a gaming behemoth that can handle nearly any new game with high frame rates, MSI is where you want to go right now. The 4GB Ti rendition of the GTX 1050 is essentially the upper limit of what you can expect from a graphics card in this price range, and the 8th gen Intel i5 has you covered on processing power. Data transfer speeds will be quite high here thanks to a minor change on the specs. Rather than a separate SSD boot drive like the other contenders, instead you get a 16GB Octane drive for faster load times. The red edge glow keys also offer a killer look that are quite different from your standard back lit keyboard, setting your gaming laptop apart at LAN parties. 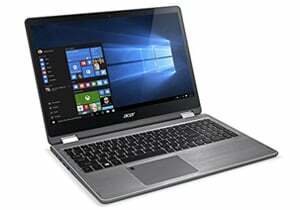 Reviewers are consistently impressed with the fast operating system boot times, comfortable keyboard design, and the extra fan button to manually purge hot air if the machine is running too warm. If you prefer function over form and don’t need a flashy looking laptop, Dell’s G3579 gives you all the specs you need for a killer gaming experience. 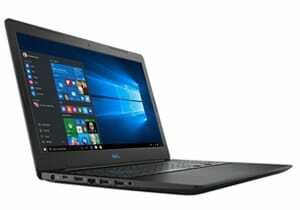 A covert gaming laptop masquerading as a typical business machine, Dell’s budget-friendly option features an unassuming design with fewer bells and whistles. From the outside it looks like the typical work laptop, but when you pull open the screen you’ll find a different story, with low key blue back lighting and plenty of power under the hood. The dedicated GTX 1050 graphics card and 8th gen processor combo will more than cover you on the gaming front, running most games at medium to high settings without much in the way of frame drops. Amazon buyers frequently mention that the screen isn’t as bright as other models, but loved the sleek business-style design and were impressed with how easy it is to install extra RAM by just removing a single screw. Do you carry your laptop everywhere and need something light weight that’s incredibly portable? If you are willing to sacrifice a little bit of graphical power, this should be your pick. 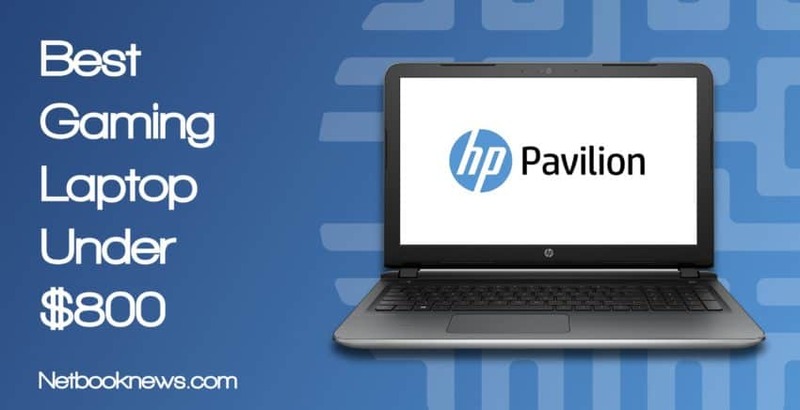 In terms of size and weight, you won’t find a slimmer, sleeker laptop at this price than the 2018 Pavilion 15. There are tablets and handheld consoles that weigh more than this ultra thin laptop, and the silver and black design mesh well with the keyboard backlighting. In order to ditch the extra weight and bulk you do have to trade off on the specs however, so you end up with a smaller hard drive and a weaker graphics card. Reviewers haven’t seemed to mind the trade off, raving about the lightweight design, quick boot times, and reasonable pricing for the specs. Do you love the tablet touch pad design but still want to play normal PC games? 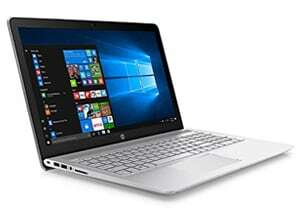 This laptop should be your pick for a perfect hybrid solution! For gamers on the go who want a truly all-in-one machine, the Aspire R15 offers a hybrid solution with a 360 degree hinge to instantly convert from laptop to tablet mode. You can easily go from a recipe viewscreen at the kitchen table to a full-fledged gaming machine on the couch just by flipping the screen over. Add on increased battery power over other models at this price, and you’ve got a solid contender here. Of course that flexibility does mean you lose out in other areas. While there’s an above-average amount of RAM included out of the box, the less powerful video card will mean lowering the graphics settings on some games. Want a wicked cool looking laptop that’s also well under $800? If you have less to spend but still want a great gaming machine, this should be your pick! 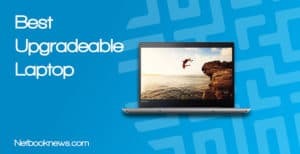 Easily the most budget-friendly of our contenders for best laptop under $800, Lenovo’s IdeaPad won’t empty out your bank account when you go computer shopping. While you get the least raw processing and graphics power by going with this pick, you also get tons of hard drive space with the 1TB HDD, but you don’t sacrifice speed since there’s an extra SSD boot drive. In terms of aesthetics you don’t have to compromise here either, with a striking red and black robotic design that makes it very clear this is a gaming rig first and foremost. 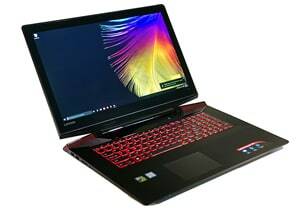 Buyers often mention that while the laptop is heavier than other models, the red lighting makes it a pleasure to play games during the day or night. The dedicated graphics card options typically stay the same here as in lower priced laptops, but absolutely everything else sees a bump in quality. 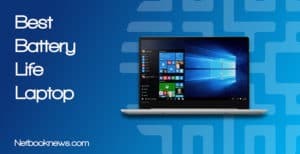 When you get into the $700 – $800 range, you will see much faster boot up speeds and significantly better install speeds due to the operating system being installed on a separate SSD. So long as you pick a model that also has a standard hard drive, you won’t run out of space for more games anytime soon. 8 – 12GB of RAM remains the standard for these machines, so be on the lookout for laptops that can expand with additional memory up to 32GB if you want your gaming rig to remain competitive in the years to come. 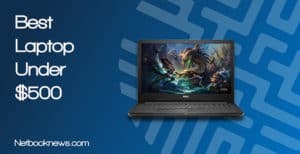 What to looking for when buying a gaming laptop? While staying under $800, you can expect to get into cutting edge 8th generation processors for a smoother overall experience, whether you are running multiple programs for work or are gunning down enemies in Call Of Duty. Without going up to a higher price range, you still need to be willing to make a few potential trade offs, however. To prevent lag or graphical glitches while playing games at medium to high settings, be sure to look for graphics cards at the 4GB range that are at least comparable to the GeForce GTX 1050. 256GB drives should be the absolute smallest acceptable storage space at this price, but if you need more room than that don’t forget to factor in the potential cost of an external USB hard drive. To keep prices on laptops low, many manufacturers install what’s commonly referred to as “bloatware” — extra programs from third parties that automatically load on startup. In most cases, these are programs you don’t really need. To get the best performance out of a budget laptop, don’t be afraid to change your startup options, remove pre-installed programs, and tweak graphic card settings! 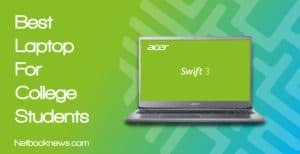 Besides pre-installed software, be sure to compare what aesthetic options are available between laptops of similar specs. Two portable gaming computers might have the exact same graphics card or processor, but if one has better heat sinks and modern red backlighting, it will be more comfortable to use for long periods of time. Which of these best gaming laptops under $800 appeals most to you, and what features are you looking for in this price range? Let us know what you think in the comments, and hopefully we’ll see you in the Fortnite lobby soon! Or Let us know on the comment section below/send us a message here. After more than a decade of searching for the perfect gaming rig, Ty knows a thing or two about picking the right hardware. He'd like to share that knowledge with all of you through his work at NetbookNews.com, whether you need a business machine, college laptop, or killer gaming computer.